Just another quick blog entry for today before I forget. 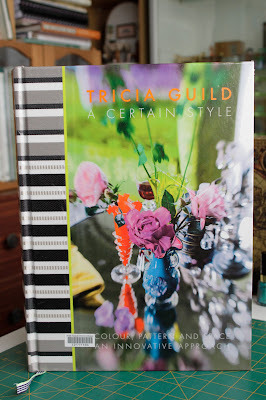 I wanted to bring the design book A Certain Style by Tricia Guild to your attention. I've just borrowed it from the local library. It is full of great inspirational photos for miniaturists and apart from that is just a delightful book to look through. I'm sure it would have something for everyone. If you get the chance grab this book and have a look through it. I'll be looking out for a copy for my own collection. I looked up the author, and my local library has 4 other books by her but not this one. I arranged to borrow this one through interlibrary loan and am looking forward to reading it! :D Thanks for the tip! I hope you enjoy flicking through it Brae. There are probably lots of good design books out there but I loved the photography in this one. The book itself is a work of art. I think my library card will be getting a lot of use from now on.